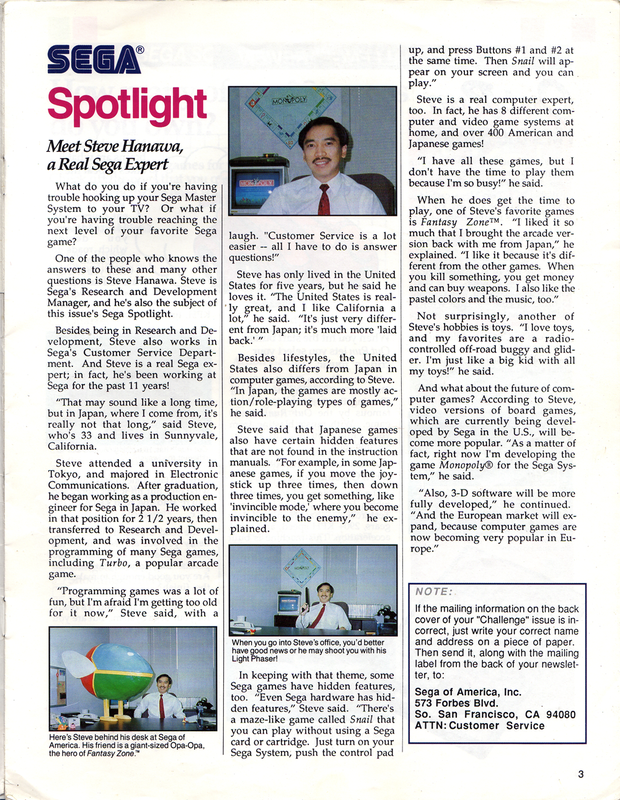 This is Steve's little icon used in the Sega Team Challenge newsletters. 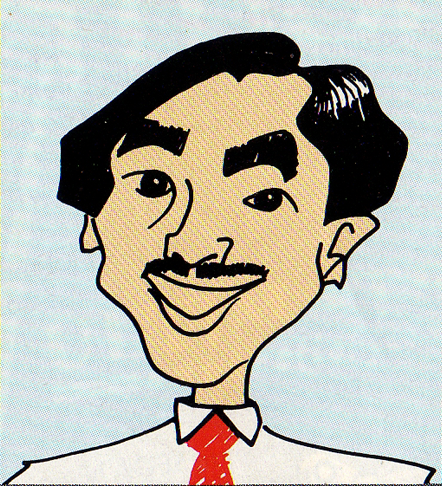 Well, here we go with another Sega8Bit interview; this time with Steve Hanawa, whose caricature you see above. I'm sure you're wondering what took me so long with this one, because I announced it several months ago, roughly right after I spoke with John Sauer. This time around things were going fine, but some trouble with spam filters and other issues led to a bit of a hold-up, but now it's finally together. I want to first extend my gratitude to Steve for being so willing to answer our questions for this interview amongst his incredibly busy schedule; it was enjoyable talking with him and I learned quite a bit of background history about Sega and the Master System. Herein you'll find lots of interesting tidbits from the early days. In case you don't have a clue who Steve Hanawa is, let me start with how I found out myself. I forwarded your message to Steve Hanawa. It's up to him whether or not he wants to be interviewed. My friend Tom forwarded your emails. Yes, I am the Steve Hanawa you've ben looking for. I'd be happy to answer your questions about my Sega days. I have briefly looked at the website and it looks really great. So yes, I did find him. That being said, let's move on now to the actual interview. The following will be written based off of the questions I asked Steve as well as those posed by forum members, including all follow-ups. I found after my interview with Scott Marshall that writing an article based on whatever questions were asked worked the best and flowed better. So, that's what you're going to be reading. Let's begin on the next page.